FunFair is positioning itself to be a major player in the decentralized casino gaming industry. Transparent smart contracts guarantee players that the games run on programmatic logic, without fraud or interference. The games will use second layer state channels, called “Fate Channels”, which process the transactions off-chain very quickly and cheaply, while also providing a transparent random number generator to ensure fair play. The platform is live, with a range of games that can be played right now. Blockchain technology is a groundbreaking development for online casinos due to the inherent level of security and trust it can provide. The traditional online gambling market is huge, and projected to be worth $60 billion by 2020. However, there is a problem for users, as they have little information on what is going on behind the scenes, and must place a great deal of trust in the platform operators. The game will explain the rules and odds, but you are forced to trust them without any access to the source code. Even if the game gave you the source code, you would have no proper way of auditing it to ensure it is being used as intended. In addition to manipulating the back-end of sites to affect the probability of certain users winning, there have also been occasions where platforms even refuse to release a user’s winnings. Smart contracts force this source code to be transparent. Every single transaction that is being made in the game can be confirmed publicly outside of the game. Additionally, as a service becomes popular, players and auditors will begin to dig into the source code to verify that the game is fair and well-programmed. With online casinos, the importance of all of this is obvious. Maintaining ownership of your funds is another major benefit. This is a feature for most decentralized apps (DApps). With a traditional gambling website, you need to deposit money, and then play with the funds within the platform’s own ecosystem. The entire time you trust some company to hold your funds. With FunFair’s tokenized system, funds are always in your hands. As with many other gambling DApps, you interact directly with the platform from your own wallet (typically through a web-wallet extension such as MetaMask). FunFair is designed to make it easy and affordable to create and run online casinos, that are fairer and faster to play, and able to reach players worldwide in a way that other platforms cannot. The platform provides a turnkey solution, allowing users to create their casino in just seconds. From there, they can immediately begin accepting players, as well as processing payments. Because the platform is decentralized and server-less, there is no risk of operators or players interfering or hackers affecting the system. Existing casino and gambling DApps based on Ethereum or Bitcoin typically have issues with transaction costs and processing time. For example, vDice.io and iDice.io run on the Ethereum Network utilizing Gas transactions which can take several minutes to go through (currently about 2 minutes based on ETH Gas Station’s recommended amount). This is due to the current limitations of the Ethereum network. According to FunFair’s whitepaper, a single hand of blackjack can exceed $1.00 in transaction cost, and dice games can exceed $0.75 per bet on average. Clearly, this is too high. While the Ethereum developers are working hard on improving these issues on the core platform, FunFair has developed the use of state channels to circumvent this issue by having transactions occur on a second layer. 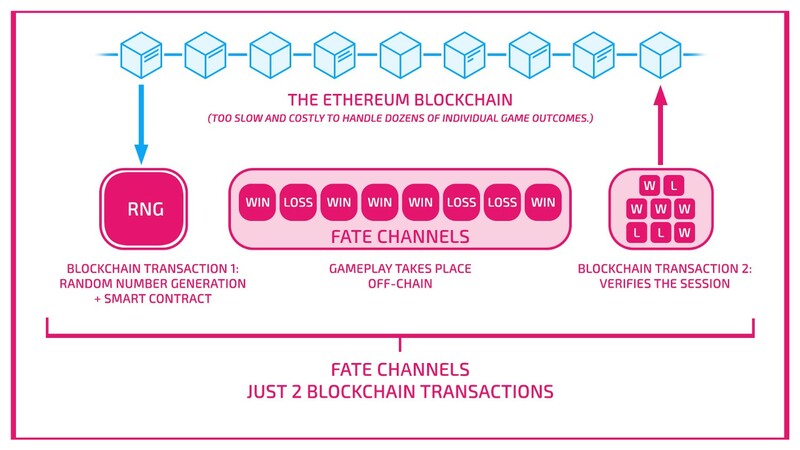 FunFair aims to provide bets at less than 1/100th of current industry costs by having the actual games occur off-chain on what are called “Fate Channels”. A Fate Channel is a type of state channel, which are two-way pathways between individual users that are off-chain and private, allowing these transactions to be fast and anonymous. The Lightning Network (for Bitcoin) is an example of a platform utilizing state channels. The only interactions with the blockchain will be at initiation and conclusion of the game. The graphic below taken from the white paper shows the basic idea. 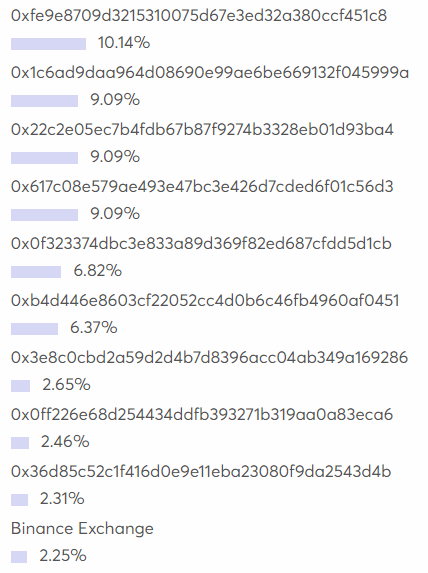 The reason why Funfair calls their implementation Fate Channels instead of state channels is because the platform also uses this technology to generate random numbers. By embedding the RNG code into the state channels, all parties can publicly review the code and confirm that the code is fair. One of the main development goals for FunFair is to have a fully peer-to-peer implementation of Fate Channels, but for now, games run through a host server. Roadmap — Where are we? 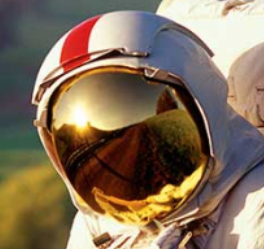 Funfair has maintained a reasonable adherence to their roadmap compared to many other projects. Closed beta on the main-net was launched in May 2018, and the company has announced some interesting partnerships throughout the year, with gaming companies Spike Games and Big Wave Gaming coming onboard. The first operator (client to utilize the FunFair platform) was confirmed in July 2018 as RakeTheRake (poker service). Based on my experience with the blackjack, dice and roulette games, the platform seems comparable to any other online casino, with no lag or delays while in play. The various casino games are working and fleshed out, with appropriate music, animations, and transactions. FunFair is able to boast the largest catalog of slot and casino titles within the blockchain-gaming industry. Moreover, P2P Fate Channels are now working securely, and the first casino based on Funfair — CasinoFair — is now live. 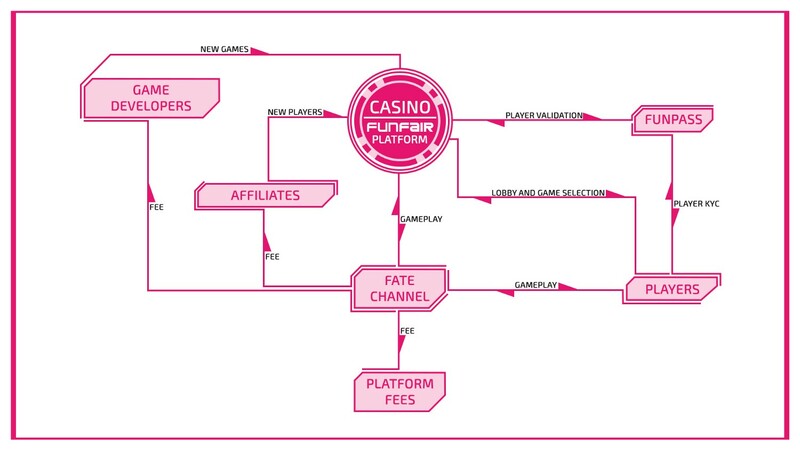 With additional games, increased functionality and usability in the FunFair pipeline, CasinoFair should only get bigger and better. It should be noted that FunFair’s focus is not just on being an online casino itself, but rather providing other casinos with an easy to use platform to expand into decentralized gaming. The CasinoFair venture appears to be geared more towards fine-tuning the platform and gathering consumer behavior data rather than focusing on volume and profits. As of the start of December 2018, CasinoFair has seen over 242,200 rounds of betting take place from over 1,200 individual sessions. FUN is the FunFair utility token — the currency used to interact with the platform. FUN tokens are used by the players in making wagers, and game makers/operators are paid in FUN. It should be noted that all affiliates and white-label casinos will be paid entirely in FUN as well. FUN tokens used for fees are to be burnt for the first two years of operation. FUN is expected to support staking, although this is not currently implemented. The 11 billion Phase 2 tokens were to be unlocked and sold in September 2017, but due to various legal and commercial issues, this plan was changed. In an October 2017 update, the company announced that it would put into cold storage 4.7b tokens and cancel the remaining 6.173b. The cold storage tokens would be spread over five years, with a max 1B sold each year. Last month (November), there were 877 Daily Active Users (*defined as “distinct senders that sent the tokens using ERC20 transfer”). This is comfortably the most active token in regard to gambling on Ethereum network. Co-Founder and CEO — Jez San has a strong programming background, mainly concentrated in gaming. Helped design the Super FX chip for the Super Nintendo and founded various software companies, most recently Origin8. Co-Founder and CTO — Jeremy Longley. Co-founder of PKR.com, an online gambling site (no longer active). Co-Founder and Developer — Oliver Hopton. Co-founder and Software Development Manager of PKR.com. He also spent 18 months as CTO of EveryFan, a sports betting service in the UK. Chief Operating Officer — David Greyling. Head of Project Management at Arc Worldwide (6 years), Managing Director at Holst Digital (4 years), and a long stint at William Hill where he was Director of International. In summary, the team has strong relevant experience, with three of the four being directly involved in the online casino business. The experience shows on the website, as the animations and overall experience strongly mirror commercial casino games. It is a very entrepreneurial group, but the team has has also pursued long stints in their previous ventures, not jumping from one project to the next. Dao Casino — very similar ambitions to FunFair, also building a decentralized protocol for gambling on Ethereum. Has a well-established team and a reasonably developed project, although no live games. Working with the Raiden Network to incorporate state channels. Edgeless — the first smart-contract based casino and one of the first ICOs in general. They have a working platform that runs entirely on smart contracts. True Flip — gambling platform with various games where token holder also receive a quarterly payout from a fund. Bet Dice — A gambling platfrom on the EOS blockchain, which has over 10,000 monthly active users according to Stateofthedapps. Within its market, FunFair appears to be leading the charge in establishing a commercial-grade experience. There are plenty of decentralized gambling platforms out there, but they mostly share the same issue — lack of experience in the gambling industry and/or running entirely through blockchain transactions. The sites currently open to play are somewhat limited in terms of number of games and polish. The other major competitors are centralized gambling services, of which many now offer Bitcoin and Ethereum deposits. From a players perspective, the FUN token feels like an obstacle. One may argue that it does little more than create a “Disney dollars” type situation, for better or worse. 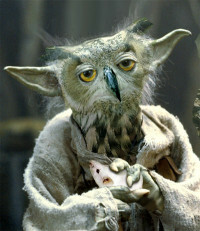 But many projects have this issue so it’s not unforgivable. Onboarding has been an issue that FunFair has acknowledge, with many users dropping off due to the difficulty of a) setting up an Ethereum compatible wallet and b) filling it with FUN. A recent integration with Airswap instant purchase widget should solve some of this pain however. The FUN token certainly adds an extra degree of separation from fiat, which may deter some players. For many, Bitcoin and Ethereum already introduce a level of volatility that is difficult to stomach. You then add in the volatility of the Funfair token, and on top of that, the volatility of gambling in general. This could result in a player making significant winnings from gambling, only to end up not making any fiat money because the value of the token dropped during the time they were holding FUN. This kind of scenario may deter players, depending on the volatility of the market. Second, the project doesn’t seem very defensible, as it is easy to duplicate its core components. One big aspect of the project is the “Fate Channels”, which are state channels except with a random number generator component added to it. FunFair states that its “Fate Channel” random number generation is superior to due to its transparency for all parties, but it is difficult to say how unique or valuable this technology really is. Edgeless and DAO Casino are certainly doing something similar, although lack the traction FunFair has achieved so far. The other issue is a major player such as Caesar’s Palace entering with massive capital and brand appeal. Services such as FunFair may have difficult competing when mainstream companies can allow seamless integration between online and real-world services, and could easily use a token model that copies Funfair’s. Finally, regulation is always a major risk factor for cryptocurrencies. The topic of gambling adds another layer of scrutiny and sensitivity that may hurt its progress. The project still has not received a gaming license. The team has applied for Curacao and are ready for Gibraltar and Malta once they are ready to accept license applications. This is not something that they can control but this milestone has been delayed. However in the long run, decentralized apps may actually undergo less regulatory scrutiny, because the smart contracts and developer wallets are all public information. Either way, FunFair’s team appears to be better equipped than its competitors to deal with these issues. In conclusion, FunFair appears to be a very promising project with a working product, although perhaps it is a bit vulnerable to competition. There is a strong use-case for blockchain technology, and my experience with the games was quite positive, especially the presentation, which I think is leagues ahead of its competition. FunFair has so far been a leader in the decentralized gaming market, and its integration of Fate Channels will allow for cheap and fast transactions that existing casino DApps will struggle to compete with. In addition, providing a platform that allows anyone to launch a casino is really quite revolutionary, and would-be gambling entrepreneurs will be taking Funfair seriously when considering development options. The team behind Funfair are perhaps the project’s greatest asset. They are well-versed in the online casino industry, and many aspects of the platform show that a product is being shipped, with investment being spent wisely. The largest hurdles for this coin will be full implementation of Peer-to-Peer Fate Channels, driving adoption amongst various casino services, and differentiating its experience so that competitors don’t saturate the market. The current bear market may end up purging many altcoins from the market, but Funfair appears to have enough development and support to pull through this downtrend. One thing is for certain, since money was first conceived, people have wanted to gamble with it, so putting the industry on blockchain is a very natural progression. Let me know what you think of FUN in the comments? I’ll try to update this review periodically to keep it relevant, but please feel free to help me by notifying me of any updates to the project, or offering any corrections/suggestions to improve the analysis! A look at various projects and developments in the crytosphere.